In this work, Brian Philip Dunn focuses on the embodiment theology of the South Indian theologian, A. J. Appasamy (1891-1975). 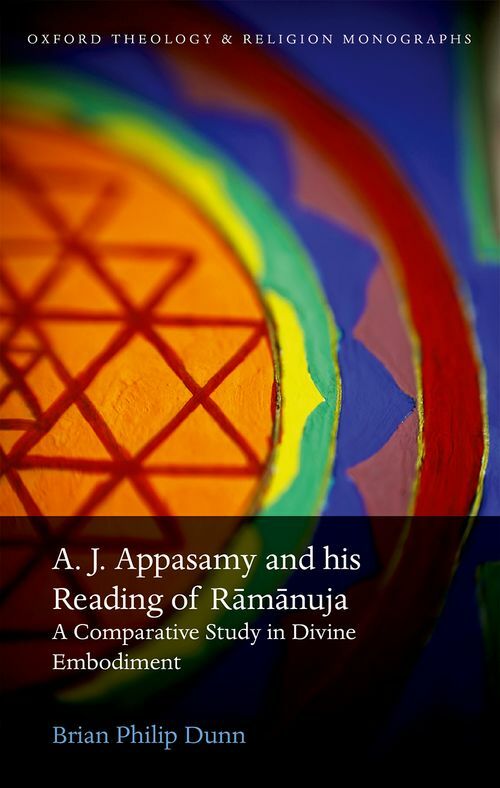 Appasamy developed what he called a 'bhakti' (devotional) approach to Christian theology, bringing his own primary text, the Gospel of John, into comparative interaction with the writings of the Hindu philosopher and theologian, Ramanuja. Dunn's exposition here is of Appasamy's distinctive adaptation of Ramanuja's 'Body of God' analogy and its application to a bhakti reading of John's Gospel. He argues throughout for the need to locate and understand theological language as embedded and embodied within the narrative and praxis of tradition and, for Appasamy and Ramanuja, in their respective Anglican and 'Srivai.s.nava settings. Responding to Appasamy, Dunn proposes that the primary Johannine referent for divine embodiment is the temple and considers recent scholarship on Johannine 'temple Christology' in light of 'Srivai.s.nava conceptions of the temple and the temple deity. He then offers a constructive reading of the text as a temple procession, a heuristic device that can be newly considered in both comparative and devotional contexts today. 2 1 Comparative Method: Theology, Religion, or Tradition? Brian Philip Dunn is an Independent Scholar.